For the past two years, Janssen (Pharmaceutical Companies of Johnson & Johnson) has hosted HealtheVoices, the first-ever conference focused on bringing together online patient health advocates to help them further grow and engage their online patient communities. Nearly 100 leaders of online patient communities, also known as bloggers or patient opinion leaders, attended the conference in 2016. These advocates represent a wide variety of health conditions and diseases. On Friday, November 18, the 2016 International Disability Rights Affirmation Conference (IDRAC) will begin with a presentation at 8am Pacific by Caroline Pavis, Communications Leader, Janssen Oncology & Immunology. In her presentation, Ms. Pavis will share highlights of the 2015 and 2016 HealtheVoices conferences, and discuss plans to host a third HealtheVoices on April 21-23, 2017, in Chicago. 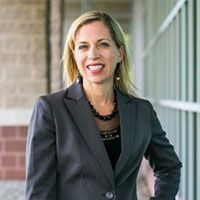 Caroline Pavis currently serves as Communications Leader for Janssen Biotech, Inc., a division of Johnson & Johnson, where she oversees integrated public relations and communications initiatives for Janssen’s Oncology and Immunology Business Units. Caroline joined Johnson & Johnson in 2011. Prior to joining Janssen Biotech, Caroline served as Director, Global Communications for Johnson & Johnson Diabetes Care where she led internal and external communications on behalf of the global franchise and served as a member of the Animas Management Board. With nearly 20 years of public relations and corporate communications experience, Caroline joined Johnson & Johnson from GolinHarris, a global public relations consultancy agency, where she was responsible for overseeing strategic marketing programs for several pharmaceutical, medical device and consumer healthcare companies. Caroline lives in Coopersburg, Pa. with her husband and three kids, where she is adjusting to the quiet country life (and endless yard work) after moving from the big city of Chicago.